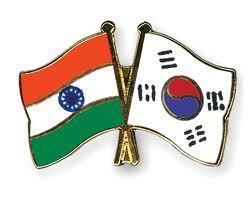 India and South Korea on 28 June decided to enhance engagement in civil nuclear energy cooperation as well as space activities including the launch of Korean satellites by India. The two sides also evaluated the progress and expansion of their Strategic Partnership during the 2nd India–Republic of Korea (ROK) Foreign Policy and Security Dialogue here. While the Indian side was led by Sanjay Singh, Secretary (East), Ministry of External Affairs, the Korean side by Ahn Ho-young, First Vice Minister, Ministry of Foreign Affairs and Trade. The two sides accepted to work on upgrading their Comprehensive Economic Partnership Agreement (CEPA) with a view to ensuring that it reflects current realities. Noting with satisfaction that in the two years since the implementation of CEPA, bilateral trade has surged by 70 percent to USD 20.5 billion in calendar 2011, the two sides welcomed recent progress in the implementation of the POSCO project in eastern India. In view of the large Korean business presence in Tamil Nadu, the ROK expressed interest in opening a new Consulate General in Chennai while welcoming India’s decision to open a new Defence Attache’s Office at its Embassy in Seoul before the end of the year. The ministry says that enhancement of cooperation in the field of science and technology was also discussed. In this context, the two sides decided to encourage enhanced engagement in civil nuclear energy cooperation as well as space activities including the launch of Korean satellites by India. US defence secretary Leon Panetta came India on a two-day visit on 5 June 2012. The visit was aimed at strengthening bilateral strategic and defence cooperation between the two nations. Panetta visited India as the part of his week-long visit to Asia to formulate a new US defence strategy to allies and partners in the region. The strategy, which was released in January 2012, calls for a shift in US strategic focus to the Asia-Pacific. As the time for the withdrawal of US troops from Afghanistan is nearing, America seeks to establish a stronger strategic and defence tie with India, so that it could keep a tab on the region’s geopolitics even after the withdrawal of its troops. Many analysts believe that the Panetta’s visit is the part of Pentagon’s policy to team up with India against the growing Chinese assertiveness in the global politics. India on 8 June 2012 announced to allow foreign direct investment from Pakistan. The move is aimed at strengthening the bilateral economic relations between the two countries. The decision will also facilitate the economic integration in the South Asian region. The Union Finance Ministry had received a proposal by the Department of Industrial Policy and Promotion (DIPP) seeking changes in Foreign Exchange Management Act (FEMA) to allow FDI from Pakistan. Under the present FDI policy, a Pakistani citizen or an entity incorporated in there is not allowed to invest in India. The Government had earlier allowed investments from Bangladesh under the FIPB route. The bilateral trade between India and Pakistan for the year 2010-11 stood at 2.7 billion dollar. With 2.32 billion dollar exports, India dominated the trade, which grew at a rate of 47 per cent and also approaching forward to occupy 1 per cent share of Indian global exports.